A truly versatile drum library. 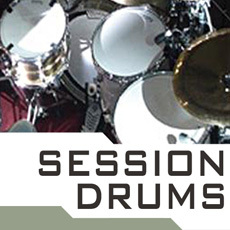 Laurie’s rock solid timing and superb feel made him an excellent choice when we were planning the collection, and he has come up with a truly versatile drum library with a unique feel and excellent production values that we know you will love using in your music, these drum loops have attitude! The package includes a Data CD with Acidised Wav and Rex2 samples, and patches for Reasons NNXT, Halion, Kontakt, and EXS-24 samplers. The CD is Mac and PC compatible and will work with nearly all music software packages. An Audio CD is also included for easy auditioning of loops and samples. Only the best musicians, studios and recording equipment have been used in the making of this collection, and every sample is guaranteed copyright free for use in your music.